In this heat is your pooch getting a bit hot under the collar? Looking for a simple way to help cool them off? 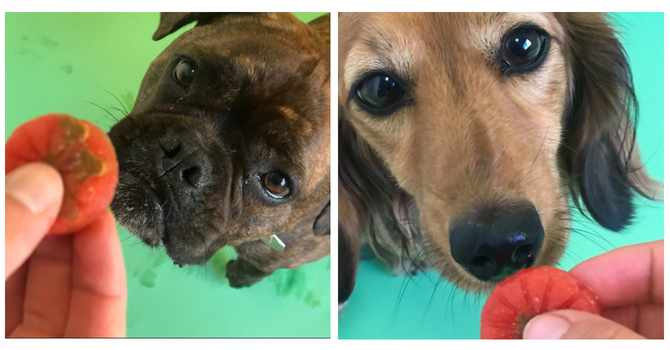 We’ve found our dogs at Tails.com HQ love an ice cold treat to cool down during these hot summer days. We’ve made a list of our favourite frozen recipes. The recipe is simple, follow these easy steps. Blend 6-8 slices of watermelon – remember to remove the pips and skin! Ruby and Noodle loved theirs! 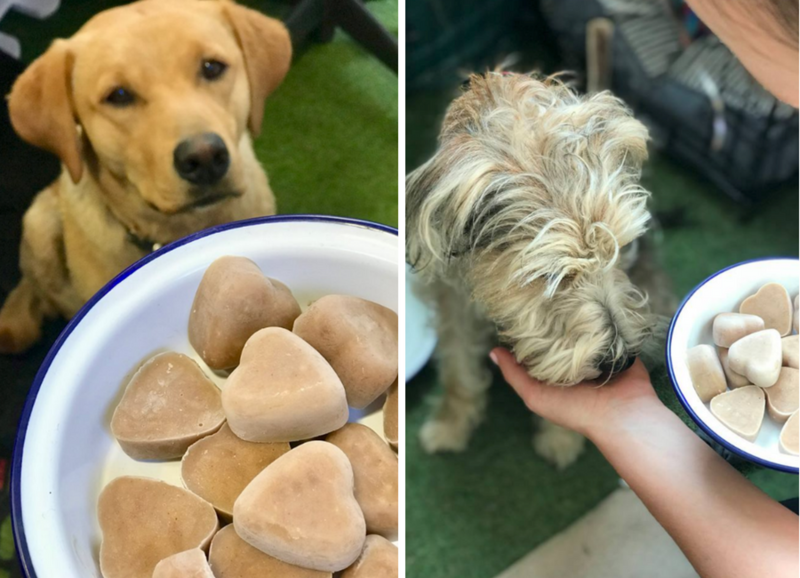 We reckon its worth making a batch for yourself too (minus the dog treats of course) – try them in a glass of Pimms, delicious! 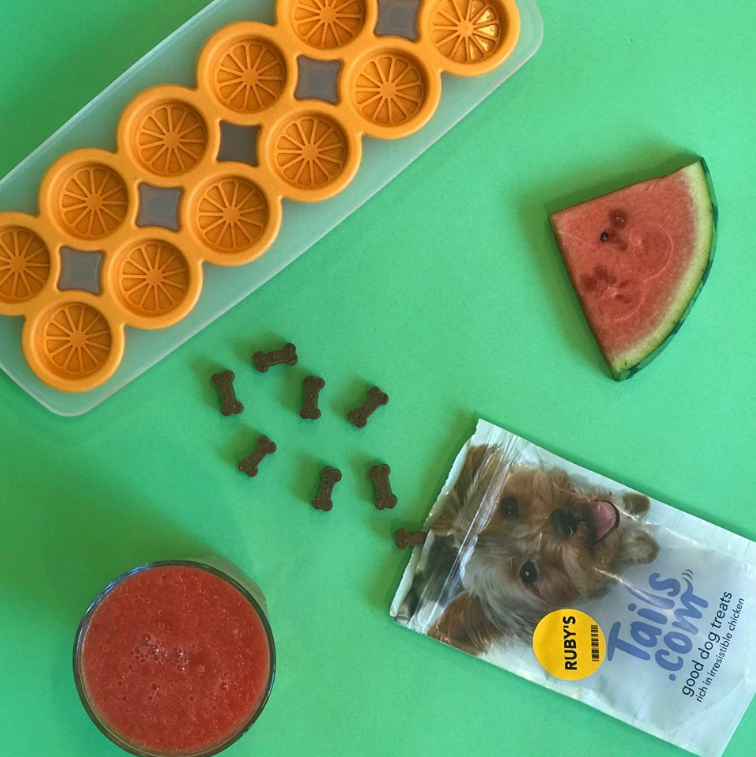 Quick and easy refreshing sweet treats to help your dog to cool down. These frozen smoothie bites use just three ingredients – it couldn’t be simpler. 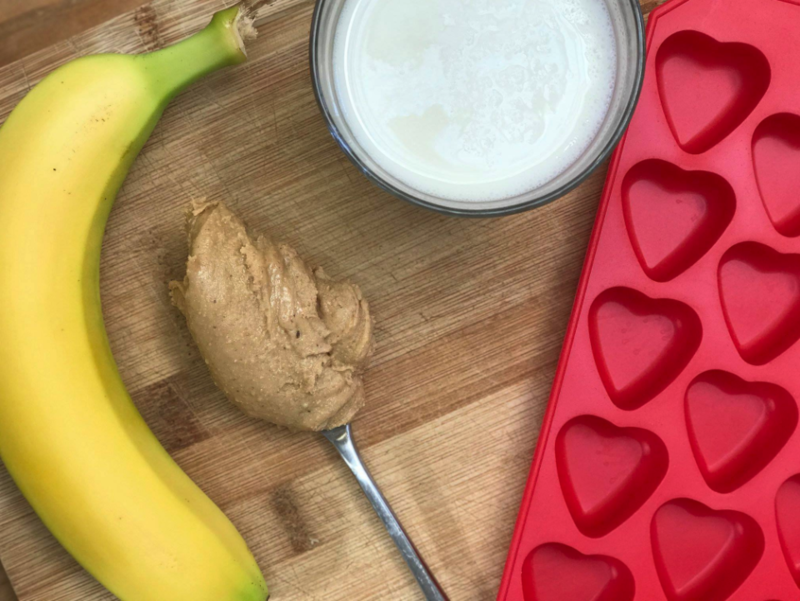 Mix together until the paste is a smoothie consistency, pop in an ice cube tray and freeze for +6hrs until set then let your dog enjoy! Cooper and Bear loved their frozen smoothie treats! Keen to try more of our recipes? Give tailor-made food a go! Every dog is different. That’s why we tailor our dog food to suit your dog’s individual needs. We create your dog’s recipe based on information you give us and from over a million possibilities. It is simple, just like these recipes! Get tailored nutrition – Made from high quality ingredients in your dog’s favourite flavours. Right portion size – with easy portion control & weight management. Monthly deliveries: no ongoing commitment – change or cancel anytime. i always make my dog ice lollies, i freeze a small tuppaware container, filled with water and small chunks of cheese and broken up doggy treats, tip the block out onto the garden when frozen, the dogs lick and lick to get to the treats and at the sametime, keep them cool by licking the ice.